J. P. Hill was born in Scotland in 1873. 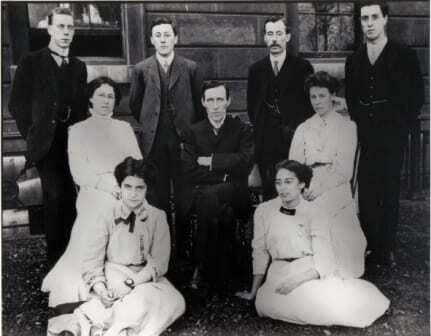 He began university life in 1889 at the University of Edinburgh before moving down to London to attend the Royal College of Science where he trained as a teacher. At the age of just 19, without so much as an undergraduate degree, Hill was offered a position at a university in Sydney, Australia, thus becoming, probably, the youngest member of staff ever appointed there. he began to study the early development of the platypus and marsupial placentation, as well as the dentition of the bandicoot. He had published 12 papers on these subjects, many in collaboration with J. T. Wilson, before the university in Sydney granted leave of absence to return to The University of Edinburgh where he received his BSc in 1897. Hill left Sydney to take up the position with the Grant Museum collections in 1906, as the Jodrell Chair at UCL. 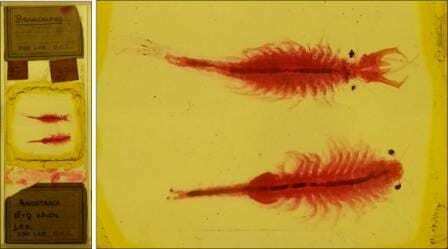 He remained at UCL, in charge of the collections, for 15 years during which time he continued his research in the field of embryology. Hill subsequently went on to be the first Chair of Embryology and Histology at the new Department of Anatomy at UCL, where he stayed for 17 years until retirement. 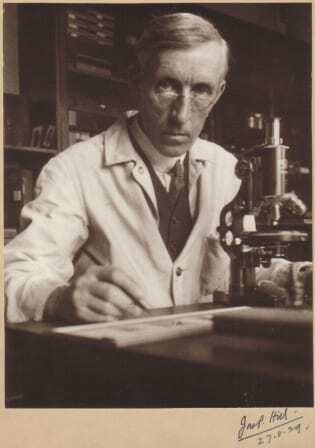 As with most great academics, Hill continued to work after his retirement, undertaking research at his home until he passed away in 1954, “busy at his microscope until the hour of his death”. The relatively new but already renowned Micrarium at the Grant Museum is a ‘cupboard’ which displays 2,323 microscope slides on walls of light. A great number of these are labelled with either the initials J.P.H or the name J.P.Hill. Whether these slides were prepared by Hill himself, by students during his classes, or for Hill by a technician, is unknown. As was the case for other Grant Museum curators discussed so far, Hill’s research and embryo specimens don’t seem to have been incorporated into the Museum. 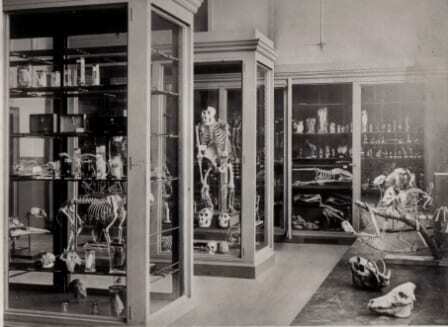 During the 15 years that Hill was in charge of the collections here at the Grant Museum, he acquired a large number of specimens. According to a report written by Hill for the session 1910-1911, the acquisitions included the transfer of 78 specimens from the enigmatically named ‘University of London Loan Collection’. Enigmatic as this is the only reference made to such a collection. In the report, he also noted the ‘very cramped condition’ of the museum annexe which housed the collections at the turn of the 20th Century. The 78 specimens acquired from the mysterious ‘University of London Loan Collection’ included some of the larger species we have such as the rhinoceros, bear, seal and zebra. The report noted that these were mounted for the price of £14. All of these specimens are currently on display in the Grant Museum. The zebra to which Hill’s report refers, may or may not be the Grant Museum’s quagga skeleton, the rarest skeleton in the world, shown above. 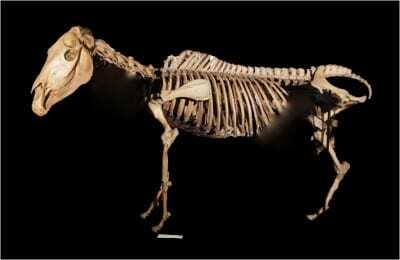 It also mentions some marsupial skeletons that Hill ‘placed’ in the Museum from his own collections. It is uncertain whether these were donated and therefore remained in the collections or not, but the modern day Museum has skeletons that match the descriptions of Hill’s specimens.